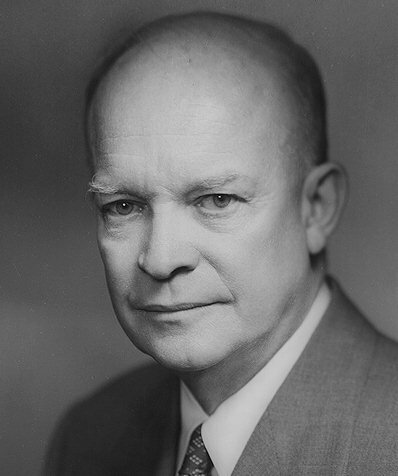 Dwight D. Eisenhower (1890-1969) the 34th U.S. President. He served two terms, from January 20, 1953 to January 20, 1961. Nicknamed "Ike," he was a West Point graduate and career Army officer who became Supreme Commander of the Allied Forces in Europe during World War II.